The radio station was birthed out of the efforts of the Virgin Gorda Recovery Organisation (VGROC) chaired by Mr Vincent O. Wheatley, who is also the Sister Islands Coordinator. At present the station is broadcasting strictly emergency messages primarily to the Valley area on Virgin Gorda, however, persons as far as East End on Tortola have reported receiving the transmission. VGROC 88.5 FM is presently using equipment from the Department of Disaster Management (DDM) for its broadcast but is seeking to have its own as well as acquiring the relevant license to make the station permanent and truly a pride of Virgin Gorda. 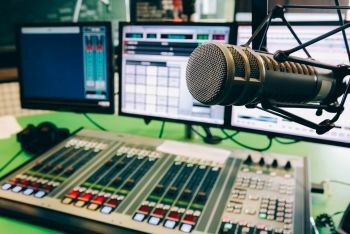 Once it evolves into a fulltime radio station, broadcast will be extended to all of the [British] Virgin Islands, the United States Virgin Islands and Puerto Rico. “The response from the community, even those from the North Sound area can hear in the Valley when they come down to conduct their business, has been astronomical. The people on Virgin Gorda have embraced it. It’s a way for us to get information out there so the people know what’s happening,” Mrs Flax-Charles told Virgin Islands News Online. Another person linked to the operation is Ms Sharon Flax-Brutus, the Director of Tourism and Deputy Chairperson of the nongovernmental organisation, VGROC. “We have been trying for years. ZROD is off the air, ZCCR is off the air and even in certain areas we are unable to hear ZBVI. It is not just a matter of want but it’s a matter of need. Its for us to get the information out there to the public on Virgin Gorda, to let them know what’s happening and make sure that everyone is in tuned with how we are moving forward with the recovery on Virgin Gorda and the entire BVI,” Mrs Flax-Charles added. So glad to hear! You guys are really doing it! It is needed urgently for current event/news but foremost for any future disaster management issues on VG. It will defiantly make VG stronger! Bravo!